Shared libraries are used to provide functions to the commands and executable of the Linux. 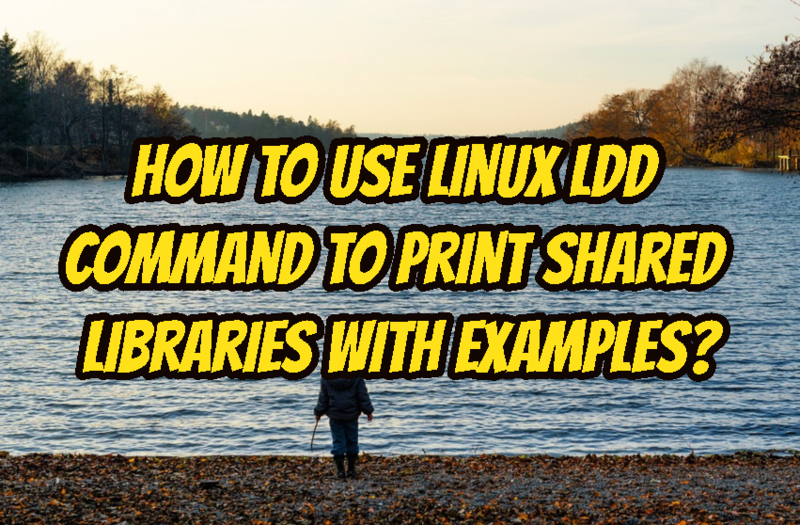 ldd command can be used to list currently used shared libraries of given executable file. Even ldd command is a simple command which provide some parameters this can be listed with the --help option like below. We will start with the basic usage where we will print given executable file shared libraries. In this example we will use echo executable. We can see that libraries like linux-vdso,libc.so and ld-linux-x86-64.so are used by the echo binary. There is also the full path of the given libraries where they are generally resides in /lib or /lib64 directories. We can print more detailed information about the given executable. We will use -v option where we will print all information like versin and alternative libraries about given executable. We can also print the data relocations about the given libraries with the -d option. Relocations are the memory addresses of the given part of the library. We can also print the function relocations of the given executable file with the -r option. How To Use windiff To Compare Contents Of Two Files In Windows with Examples?